Star Wars is finally there again. Prior to the movie release, the issue already started with the new droid BB-8, which rolls its spherical body instead of sliding by wheels likewise how R2-D2 used to move. 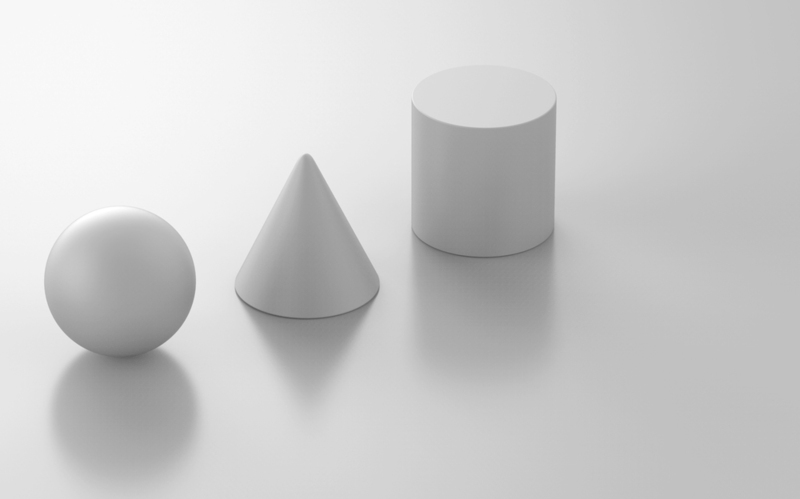 They are both primitive in terms of geometry, but starting from these simple shapes create unique movements which in the end defines their character. Of course we cannot deny slight help of loveable half sphere heads on top of them... Nevertheless, it is interesting to perceive distinct characteristics from different primitive forms applied to its essential functionality. So from this we questioned: How can we present unique functionalities if we treat same set of forms with different substances? 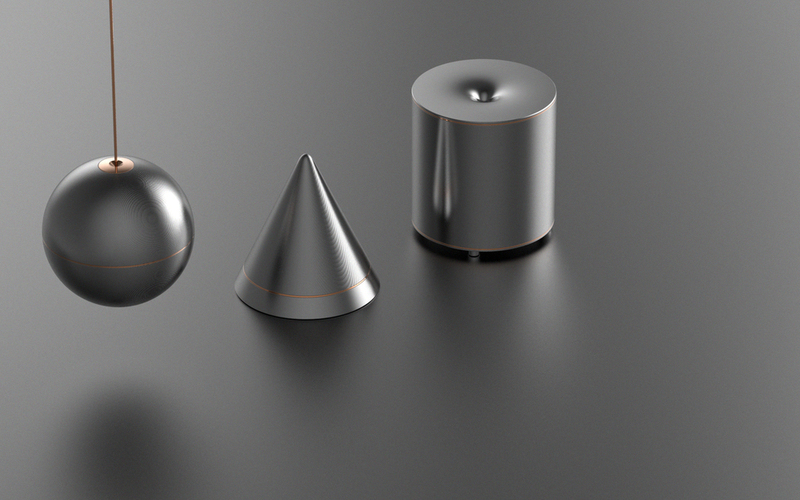 The set of primitive forms we decided to work with consists of sphere, cone and cylinder. They are all circular from the top view, but at the same time distinctively different by form characters. 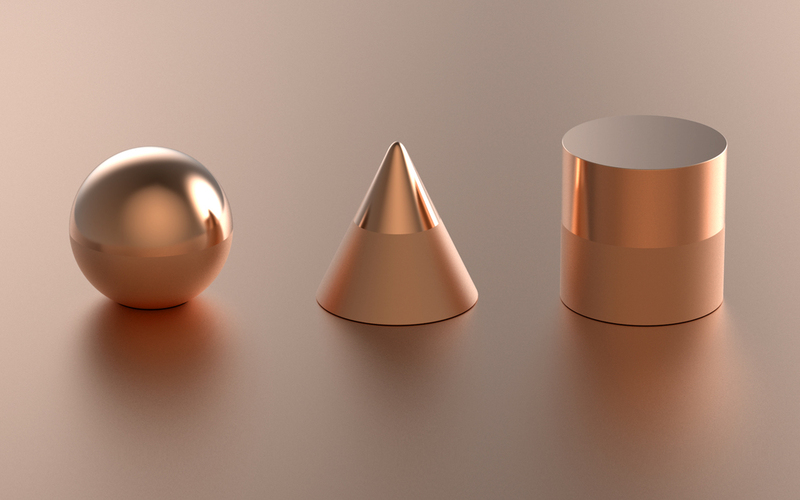 Metallic paperweights. Different forms create different aesthetics. Lamp shades with light source inside. Lights differently diffuse by different forms. Sphere diffuses light all around, cone heading down only and cylinder in both up and down direction. Salt, pepper and sugar shakers. Different forms distinguish different substances filled inside. Wireless speakers. Different forms define direction of sound spread which then leads to different uses by places. 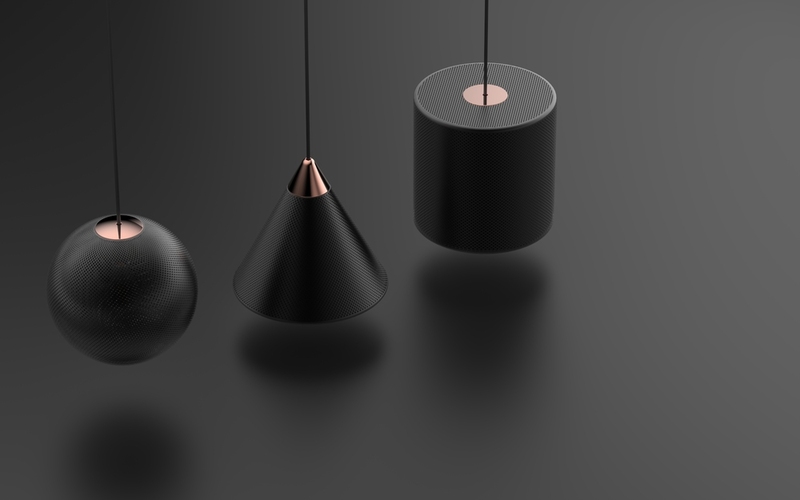 Collection of spheres, cones and cylinders. Published on 30th of November, 2015.